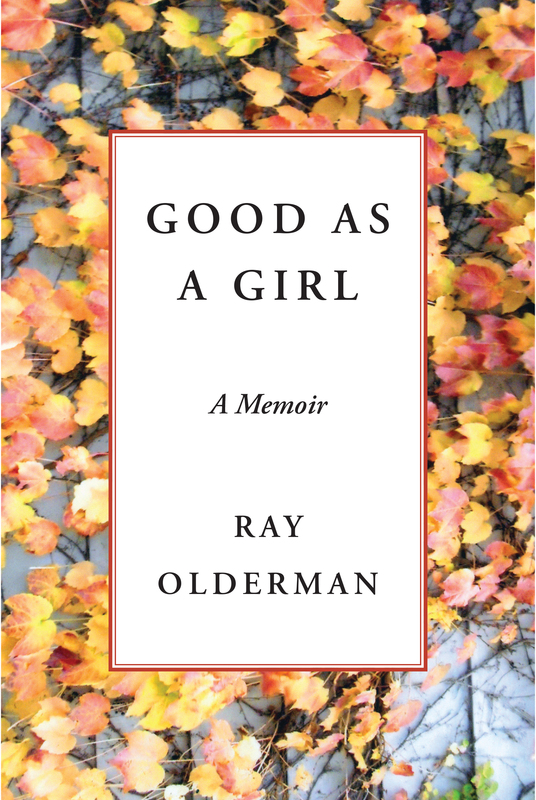 My good friend and writing mentor Ray Olderman has published his memoir! If you are local and know Ray– or just like being around funny friendly people–congratulate him at his book launch party Thursday June 28, 6pm at the Goodman Community Center. 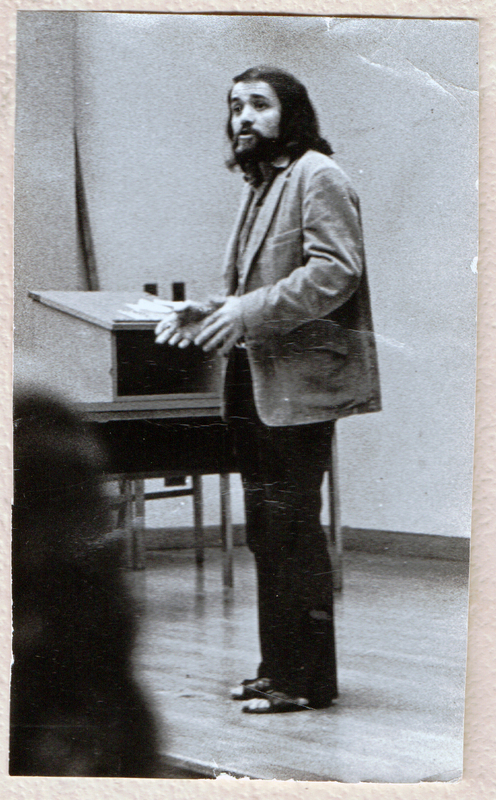 Many people know RayO from his stint as a professor of comparative literature on the UW faculty in the 1970s. This is true. When I was eight, I promised my mother I’d be good as a girl. it was 1945 and here was my mother with another baby boy. While my dad temporarily took the baby off somewhere, mom lay in her bed silently crying. She was a loving mother, and I hated to see her tears. I knew why she was crying. I knew because we had already picked a girl’s name for my brother. Dad and mom had planned a girl’s name for me, too. My girl’s name had been abandoned. Now another girl’s name would have to go the same way. So there was mom, crying. And there was me all by myself plunked in the doorway, put there by my dad who wanted me to welcome my mom home while he was busy with the baby. That’s when I made my vow to be good as a girl. “Don’t cry, mom,” I said, trembling a little to see her tears because usually no one in my family cried much. “I’ll be good as a girl.” It just flew out of my mouth. What did I know about what that meant? Not much. Boys didn’t even play with girls. Boys didn’t even go in the same door at school. Good little Ray cleans the stove. We lived in the projects when I made my vow. But we got to move to a slightly better neighborhood. And about six months after moving into my new neighborhood, just after I turned nine, Tommy Veneto kicked me in the balls and that turned me into a determined person. First of all, the kick hurt a lot. But what bothered me more than the pain was that I told my mother about it and she examined me to see if there was some damage. I was mortified. I decided right then, standing on a stool with my pants down, that I would not keep my parents informed about my street life. I would deal with it myself. We moved to Newington, a suburb. At the high school there, I connected with a foster girl from the Hartford slums named Dawn, who was as outside the norm in Newington as I was. We hung together but neither of us cared for the boyfriend/girlfriend thing. I was carrying the torch for dark-haired Vicky in Bridgeport. Dawn and I reinforced each other in the face of the clean, middle-class world of Newington. We were attracted to each other, but mostly we were comfortable talking to each other honestly. She was the only one I told about my vow to be good as a girl. She told me I was nuts. “Girls ain’t that good,” she said. “Your mother would find that out pretty quick. Only I don know much about how mothers think,” she added with a shrug. Dawn had sorrows of her own. She went from foster home to foster home. Her Newington foster parents barely acknowledged her existence. And she had baggage. One time, for example, a former boyfriend and his pals came after her when we were putt-putting along in my little German Ford. They chased us and Dawn was clearly upset. I couldn’t outrace them with my feeble four cylinders. So I used my big mouth and a hunting knife my dad had slotted into the inside wall of the car near the steering wheel. The doors of the car opened from front to back instead of back to front like American cars. So as the creeps left their car and came toward us, I swung open my car door and in one smooth move emerged with hunting knife in hand. If that wasn’t crazy enough, I shrugged my leather jacketed shoulders and spit out a Marlon Brando challenge: “I can take you one at a time or all together.” Since mostly only gang members wore leather jackets in that part of Connecticut in 1954, the creeps backed off. They must have thought I’d have a gang to back me up. Whatever their reason, mine was that my big mouth beat my brain to the punch again. I never would have used the knife. In Bridgeport, I’d be dead. I told you once already. I’m a lucky guy. I’m afraid Dawn was not so lucky. 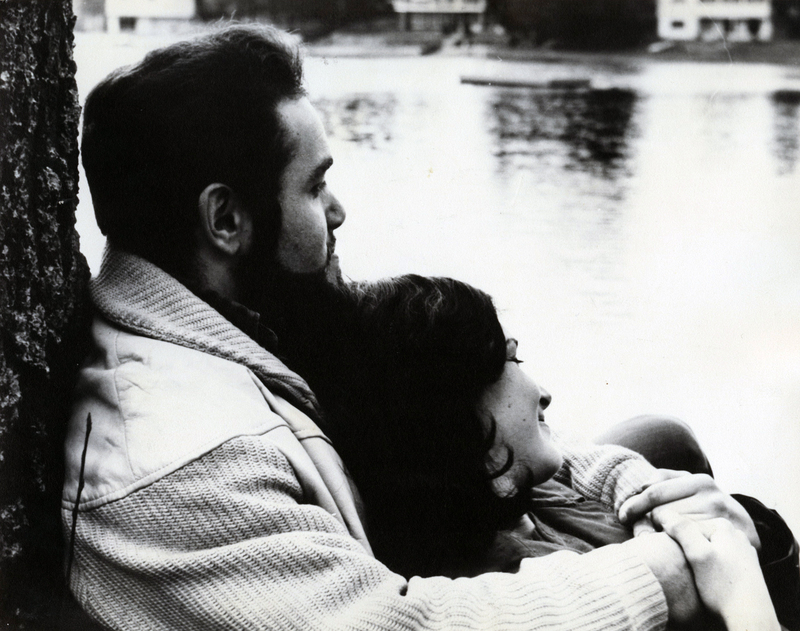 Later on in 1958, after I got out of the Army, I tried to find her. She was living back in Hartford in a tough neighborhood. I got her phone number and called. I’m sure it was she who answered. I asked for Dawn, and she said twice in a very tired voice, “There’s no Dawn here.” All metaphors aside, her voice chilled me. I just hope I am completely wrong about everything I imagined from that phone call. Talk about female sadness, the suburbs sunk my mom. In Bridgeport she got around by bus and by walking to neighborhood stores. But in Newington she couldn’t get anywhere without my dad or me driving her there. I took her shopping whenever she asked but I wasn’t around much. I fell victim to the habits of the middle-class kids around me, drinking beer and putting me first. I didn’t really understand how the powerlessness of her situation was affecting my mom. Asking for help made her feel too dependent. She didn’t like it. In retrospect, I could see the suburbs wrecked her good humor. She took Valium, which was the 1950s answer to the suburban housewife’s isolation. She fell into wishing she were a bird. Someone who was as good as a girl might have noticed she was hurting. 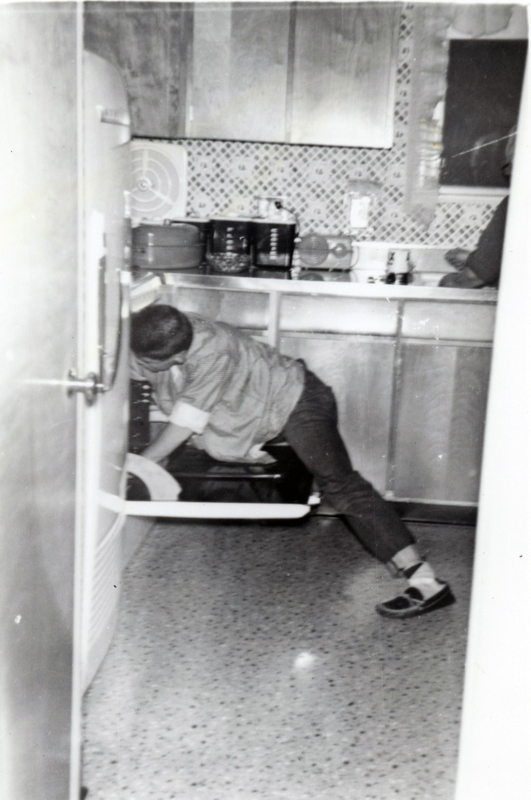 I got cast in plays right away in my first year on the University of Connecticut Storrs campus, 1960. My insomnia allowed me to attend classes, work some weekends at the moving company, do a meticulous job on my homework, and act in plays. I was cast first as a dancer in a production of “Romeo and Juliet.” The production was some big hotsy-totsy deal. The Theater Department built a replica of the Globe Theater of Shakespeare’s time, and to play Romeo they jobbed in a professional actor who was coming off a Broadway gig. Three of our own theater department actors were good enough to later have short professional careers. But the production stank. The Broadway guy couldn’t get rid of his twangy Western accent, and Juliet had a squeekee-sqawky, unattractive voice, beautiful as she was. Audiences at UConn were used to high-quality theater. At the time, there were no championship athletic teams, like the ones that developed later. Girls weren’t even playing regular team sports. In fact, unlike the boys, they still had a 10:30 p.m. curfew weekdays, and midnight on weekends. Back then in the early 1960s, theater was as popular as sports. And the audiences let their disapproval for our production of “Romeo and Juliet” show. One night I was the cause of a graphic demonstration of audience rejection. In the ballroom dance scene, I had a brief solo where I danced and juggled three balls. It was tough because I was wearing a full face mask and had trouble keeping all three balls in my sight line. On the fateful night, I dropped one and it rolled off the stage before I could pick it up. Then someone threw it at Juliet in her death scene, just as she was screeching out, “Oh happy dagger, here is thy sheath/Now rust and let me die….” Next night I juggled two balls only, and my acting career at UConn would have been over if I hadn’t already been cast by a different director as the cab driver in “Harvey.” My Bridgeport accent served me well and I was a big hit in that small part. In fact the same director cast me next as Nathan Detroit in “Guys and Dolls,” and I was an even bigger hit. I was “boffo” wid my dems and dose accent. What a lucky guy. The Theater Department thought I was good enough to do more comic parts. My director wanted to cast me as the comical Bob Acres in a Restoration Comedy called “The Rivals.” The Bridgeport talk would not work anymore. A second director took on the task of fixing my diction. What a wonderful person. My horizons totally changed when I learned to talk right. I mean, my Bridgeport sound was crude by educated standards. How could I find Romance if I kept sounding like a thug. People were always asking me if I was a prize fighter, and was I “still in the ring?” Only a classy guy gets the girl of his dreams. It’s like in England. The guys with a cockney accent are “the low characters.” They don’t get the British, Black-Haired, Brainy Beauties. That’s the one I remember best, and I said it over and over, day and night till the dems and dose largely went away. I owe that director for widening my possibilities, removing an obstacle to my future. I mean, in addition to the effect of my Bridgeport diction on chances for love, what would have been my chances of becoming a tenured English Professor if I had kept talking like a thug? And, come to think of it, how could I have quit a tenured position, as I did, if I hadn’t once been a bit of a thug? The fact is that the change in my diction and bearing put me at a borderline in the American class system. Did I look both ways before crossing? Not that I remember. In the end, Ray got the girl of his dreams. Ray Olderman is an award-winning teacher, writer, and actor. He crossed class lines to move from pin boy to professor, from street kid to professional writer. His published work varies from the pioneering, award-winning Beyond the Waste Land to The Ten-Minute Guide to Business Communications. As a teacher, he was voted one of the ten best professors at the Madison Campus of the University of Wisconsin. To purchase a copy of Good as a Girl, visit Henschelhaus Publishing.